Grafton has just experienced THE WESTTEST FEBRUARY ON RECORD. Grafton received 473mm of rain last month, smashing the February 1954 record of 436.5mm. The only other February on record which even came close was in 1892, when 411mm of rain fell on the town. The record rainfall will come as little surprise to most people in the Clarence Valley who have seen more falls than sunshine for several weeks or longer. February brings to a conclusion the extreme weather pattern experienced over the past couple of months which brought flooding to many areas on the North Coast, including the Clarence Valley. 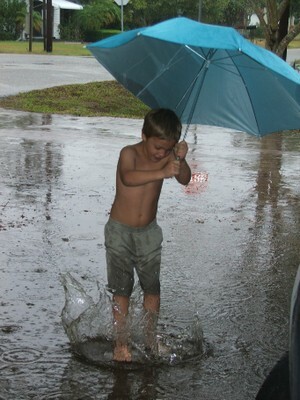 The average rainfall for February in Grafton was 127mm. The February 2008 figure of 473mm is more than three-and-a-half times that amount. Incredibly, ALMOST 40% OF FEBRUARY'S RAINFALL FELL ON ONE SINGLE DAY - a 179mm drenching hitting Grafton on February 4. Interestingly, December and January - typically the wettest months of the year in Grafton - were not quite as wet as usual.